One of the hallmarks of British Methodism is its celebration of lay leadership in local circuits and churches, particularly in the form of local preachers and worship leaders. Much more than just ‘pulpit filling,’ Local Preachers serve in pastoral teams with individuals and groups in their local areas, often providing the focus of leadership in their local churches; they regularly conduct worship across all of the circuit churches. Worship Leaders are generally assigned to their own church, but they play an increasingly significant and important role in the leading of services, providing an essential bridge to local congregations and communities thus making Worship relevant and enabling spiritual continuity week on week. 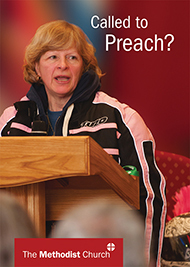 Called to Preach? Called to Lead Worship? Local preachers are those who have been accredited to preach God’s word and lead His people in worship. Originally, the term local preacher showed the difference between those who stayed in a local area and those who moved around the country as ministers (presbyters). Interested in becoming a local preacher? Do you feel called to preach God’s word? Click here for a guide to help you explore your calling. What is a Methodist Worship Leader? Worship Leaders are lay members of the Methodist Church who have received a call to assist in leading worship within their local church. After undergoing appropriate training, they are appointed to take part in various aspects of leading worship, offering to the preacher their gifts and talents plus their knowledge of the local congregation. Interested in becoming a Worship Leader? Do you feel that you have a call to assist in leading worship? Click here for a guide to help you explore your calling. More details about Local Preaching and Worship Leading can be found on the UK Methodist Website under Local Preachers and Worship Leaders. 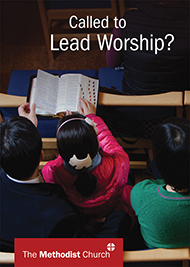 Leaders of Worship and Preachers Trust have a great range of resources on their website.